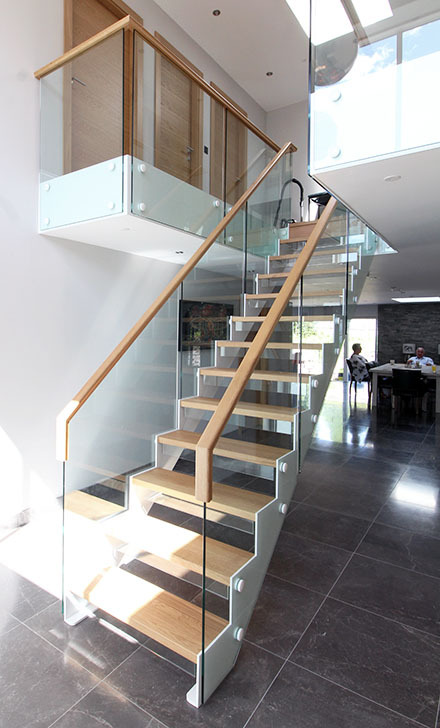 We were thrilled to work with Mr and Mrs Powell on their new build project in beautiful Abergavenny, South Wales. 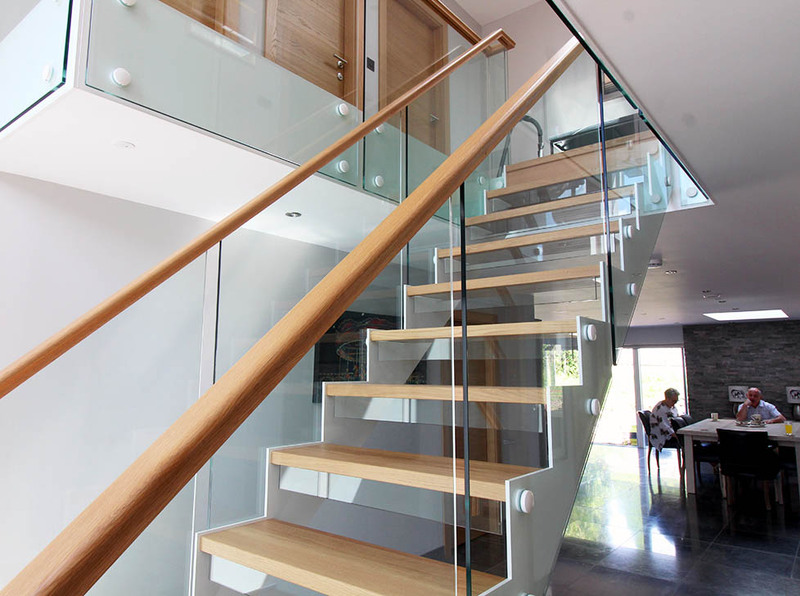 We are a Staffordshire based company, but travel all over the Nation to be a part of projects that excite us! 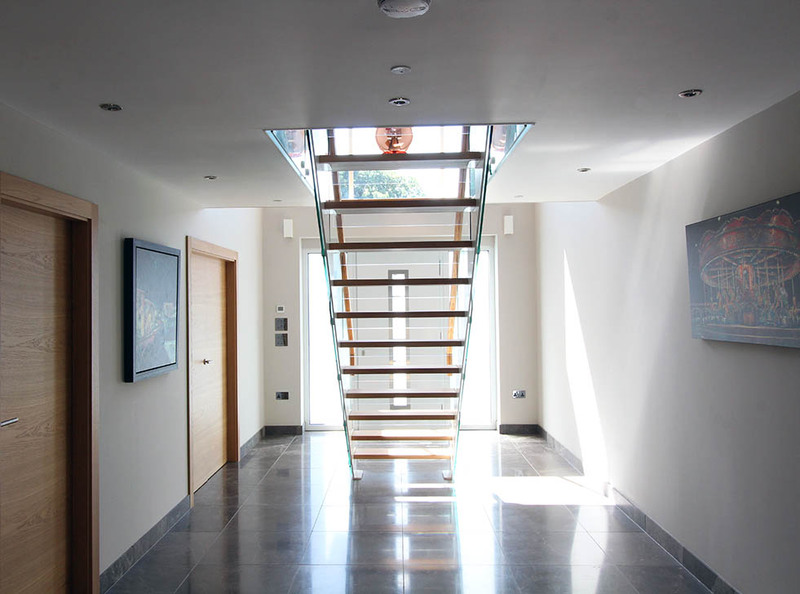 The architect planned a central position for the staircase, in the heart of the open plan home as a true centerpiece for the property. 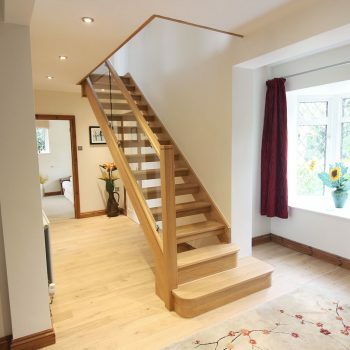 Open plan living has never been so popular, so with this in mind we chose to go for the most slimline staircase that we offer, keeping the space as open as possible. 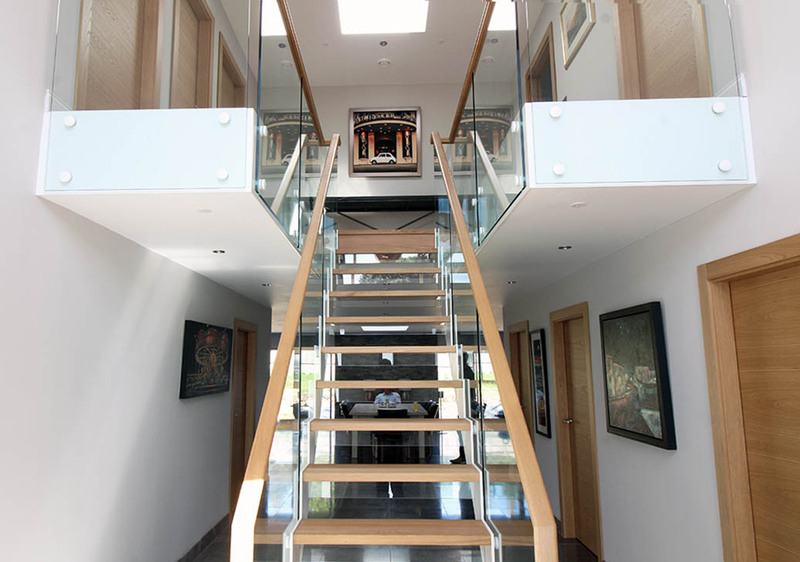 From entering the property the guests can see directly through the staircase in all directions to appreciate the beautiful interior around the staircase. 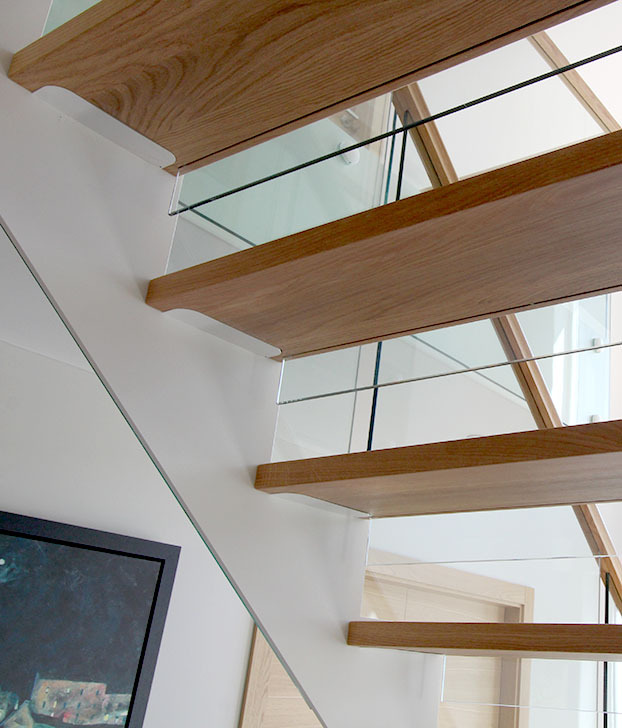 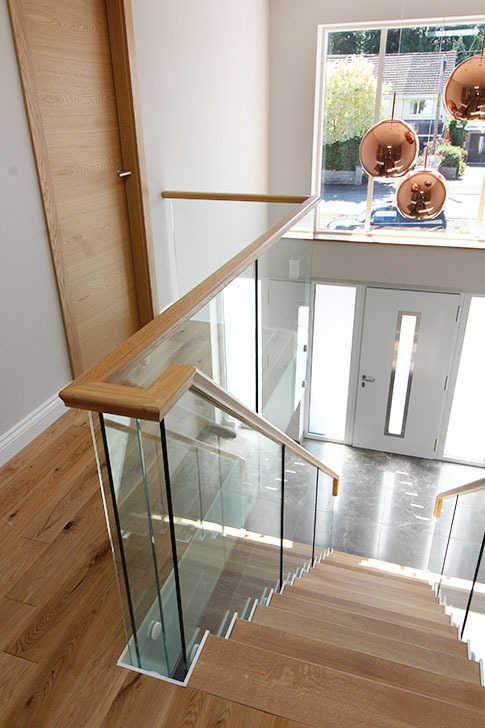 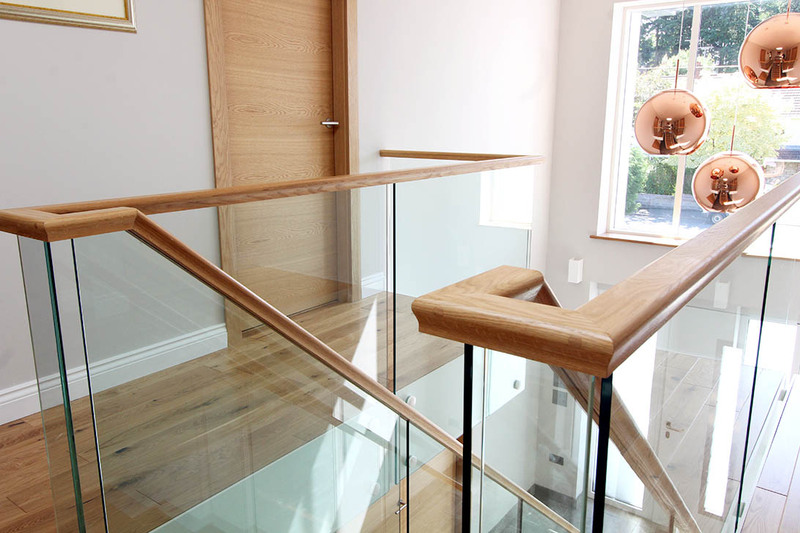 In order to keep a staircase completely open but compliant with current building regulations, we chose to close the gap between the treads with a small toughened glass riser (down-stand). 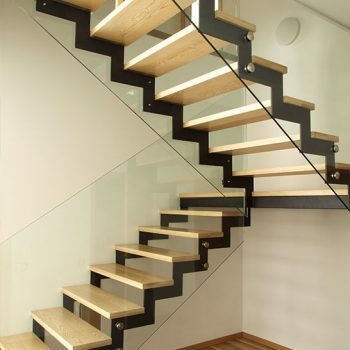 This gives the illusion of a completely open staircase, whilst keeping the staircase safe to use for children and pets alike. 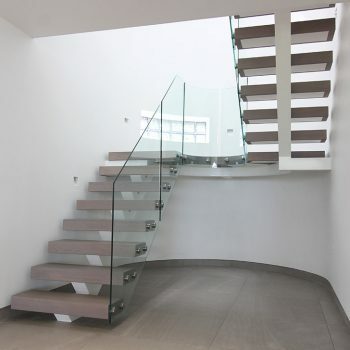 Steel structure staircases like this one that we call ‘Trim’ can be fixed into position in a variety of ways, when we survey we offer a variety of solutions that will make the staircase worthy of our 10-year guarantee, ensuring that once the staircase is in postition… it will not move again. 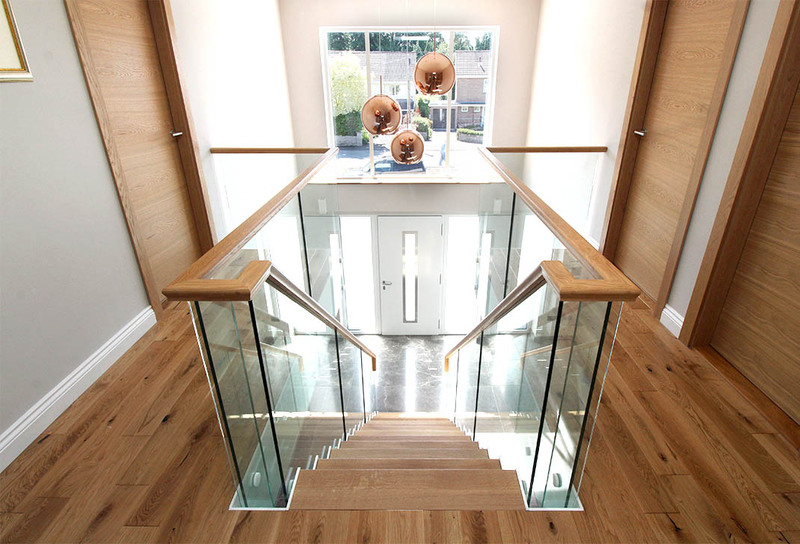 Our in depth consultations cover all these details before production, ensuring both the aesthetics and technical details are mastered.